July is National Ice Cream Month. I love ice cream! And yes, I will scream for it. 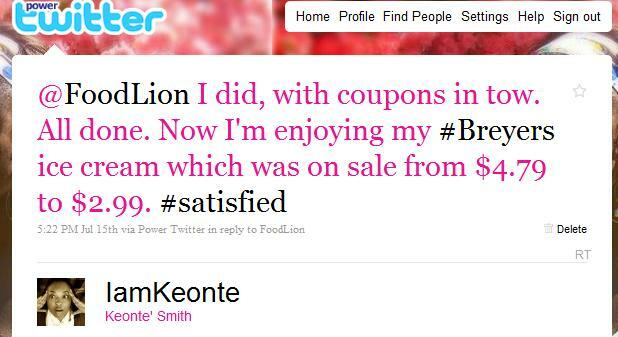 In fact, I tweeted the other day that I was at Food Lion, and they responded. I told them how excited I was about my Breyers Smooth & Dreamy Ice Cream purchase. Sale + Ice Cream + FREE coupon = Happy Camper! When it comes to ice cream, I'm the biggest fan. It's like having a best friend who is there for you and leaves you feeling great at the end of your time together. Yes, for me, ice cream is all this...and much more. When I found out I was going to participate in the Breyers Smooth & Dreamy Blog Tour (thanks to Mom Central), my mouth started watering immediately. This was going to be a piece of cake, or a bowl of ice cream, because all I had to do was talk about something I already enjoyed. Easy enough, right?! Now, all I have to do is share all the wonderful information with you. 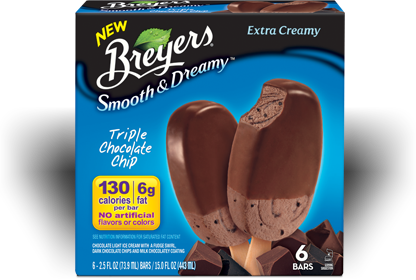 Breyers Smooth & Dreamy Ice Cream Bars and Sandwiches are here. And I would know because I devoured a package of the Triple Chocolate Chip bars. Did I mention that 6 come in a box and I ate 4? Yes, 1, 2, 3, and 4. Admitting is the first step! My son tried to sneak, but the evidence was written all over his face. He confessed to eating 2 of them. It's kind of hard to hide a secret this good. We agreed to communicate our urges so that no one would be without a bar. Good deal! De.Li.Cious. Just thinking about all the flavors makes me want to head to the store now. In fact, I may just do that. There is absolutely no guilt involved when eating the Breyers Smooth & Dreamy products. The calories per serving range from 120 to 160, and the fat ranges from 4g to 6g. I suppose it doesn't hurt that there are NO artificial flavors or colors. Indulge all you want. No one is looking. 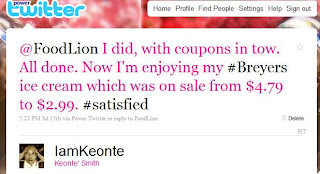 What would you do if I mentioned there is more to win on the Wheel of Delights Instant Win & Sweepstakes on the site? I know you would not put down your ice cream, but you may want to head on over to the site to see all the fantastic prizes. I stumbled on a great sale when I was grocery shopping, but you don't have to. I have a few coupons to giveaway for (1) FREE Breyers Smooth & Dreamy Multipack. Leave a comment here stating which flavor you would love to try. Once you have done that, feel free to share this giveaway by tweeting, stumbling, posting to Facebook, or whatever you can think of. Leave a comment for each action. Entries are unlimited. Giveaway ends 7/25 at 11:59 PM EST. I will pick a few winners using Random.org. Winners will be notified through e-mail (and/or Twitter if you follow me). You will have 48 hours to respond before another winner is chosen. Good luck! "I wrote this review while participating in a blog tour campaign by Mom Central on behalf of Breyers and received products necessary to facilitate my review. 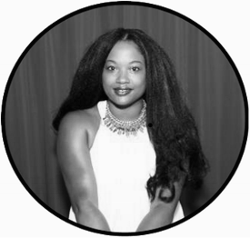 In addition, I received a gift certificate to thank me for taking the time to participate." I'd like to try the vanilla caramel chip bars. I'd like to try chocolate covered strawberry bars. I'd like to try them all but the Chocolate Caramel Brownie Sandwiches sounds delicious.